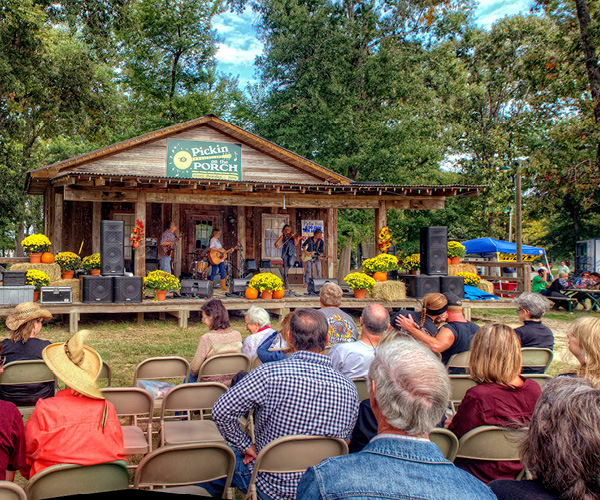 PHOTO: Blacktop Gypsy performs at the Pickin’ Porch in Ben Wheeler. Photo by Dave Hensley. In the last few years, artists in Edom, Van, and Ben Wheeler talked about wanting to share their talents with the kids of Van school district, as well as with adults in the communities. We also talked about having a place where we can gather on a regular basis to teach classes, show art exhibitions, hear live music, demonstrate art techniques, and share innovative ideas that we bring to fruition. A Van Arts Center located near the schools is one way to accomplish some of our goals and that is in serious consideration to make happen with the City of Van. But more than one singular place, through the arts and cultural activities, we want to bring together children, artists, businesses, individuals, and visitors to help build creative community spirit that contributes to the well being of the region. 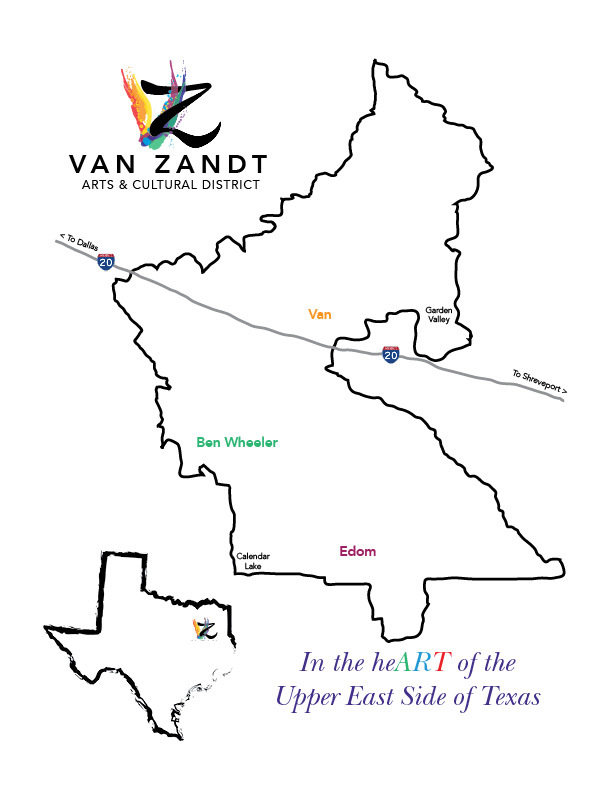 So was born, the Van Zandt Arts & Cultural District, in the southeast corner of Van Zandt County, Texas, a distinctive arts and cultural sector of the county as well as the Van school district. Initially the idea was to focus on arts education to include local community events. 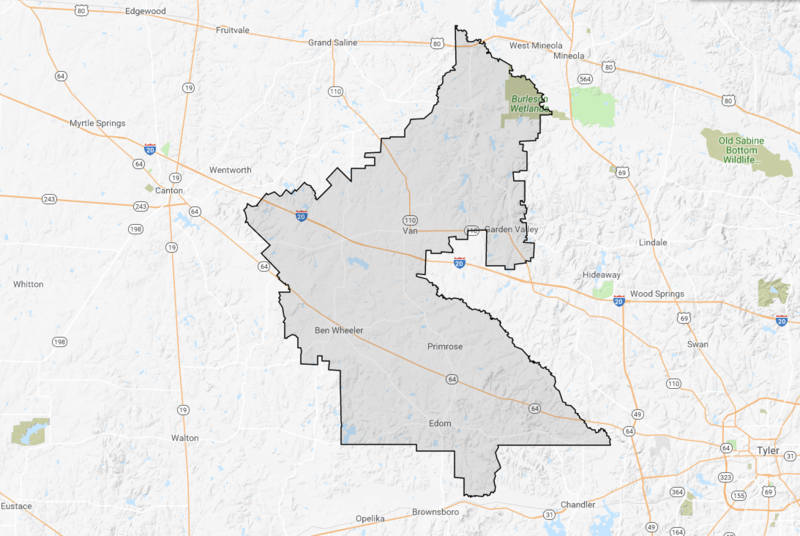 When we looked at the Van school district map however and saw how perfectly it straddles Interstate 20 it occurred to us that this is also an opportunity to promote the same region as a cultural tourism destination! Edom and Ben Wheeler are already well-established tourism towns and they benefit from a relationship with Van with it’s interstate location and rich history. And Van is in the process of renovations and building new areas for the purpose of attracting tourism. Together, three small towns have so much more to offer tourists than one and they are united through the school district. So our mission is two fold — arts education and cultural tourism. It’s a perfect fit. Singer-songwriters, musicians, poets and other writers, visual artists, and others have stepped up to provide programs at the school for the 2018-2019 year. Potters Brown is doing demonstrations in their Edom gallery for the students in the the spring. Tyler Museum of Art has several free art project opportunities for the students, as do area events and festivals like the Edom Art Festival, Junebug Art & Music Festival, and the new Van Go Art Show in March 2019. Combined, the communities have more than 80 tourism-worthy shops, restaurants, places to play and places to stay for residents and visitors to enjoy all year long. There’s live music happening in all three towns every week as well as numerous other regular events to entertain. It’s so exciting to see this creative energy flowing in the Van Zandt Arts & Cultural District!